It’s summertime. That means it is the perfect time for picnics, hiking, and other outdoor activities. 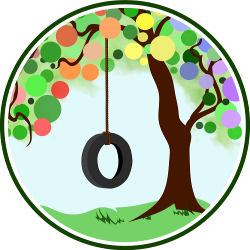 Along with the fun of getting out in nature, there are some concerns, such as ticks, to be cognizant of. Ticks don’t target humans, but if we happen to be out and about, ticks view us as another warm meal. Besides being a little freaky to have crawling or hanging onto you, ticks can carry disease. 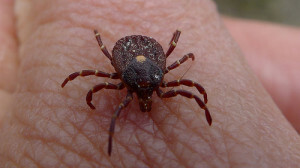 Infected ticks have the ability to spread diseases such as Rocky Mountain spotted fever or Lyme disease, among others. That doesn’t mean you have to stay holed up in your home during these summer months. You just need to be aware and take some precautions. Use bug spray. A little bit of prevention goes a long way. Using bug spray can repel ticks so they never get on you. You don’t need a chemically laden repellant, though. You can buy or make your own bug spray utilizing essential oils. Wear proper clothing. It’s hot out, and our first inclination is to wear shorts, T-shirts, and sandals. However, if you are going to an area where you think ticks may be a problem, consider altering your dress for the day. Wear long sleeves and pants. Pull your socks up. Wear lighter clothing so you can more easily see any ticks that might get onto your clothing. Do a tick check. If you have been out in nature, consider doing a tick check when you get home. The sooner you remove any ticks, the better. You may even be able to remove them before they have bitten. Removing ticks. It is important to properly remove any ticks you find. There is plenty of advice on how to remove them, from fire to tweezers, and everything in between. When removing ticks, you do not want to squeeze the tick or leave the head in the skin. Our family uses a Pro-Tick remover for easy tick removal. There are other similar products on the market. You slide the tick remover under and around the tick and then apply gentle pressure to encourage the tick to release. Depending on the situation, some ticks will release in seconds while others may take a minute. If you are removing a tick from a child, I highly recommend that you ask the child to lie or sit down in a position where his or her body is supported. Treating tick bites. After removing the tick, wash well with soap and water. Consider placing a couple of drops of lavender oil on the bite to help prevent infection and combat any itching. Keep an eye on the bite for the days to follow. Seek medical care if you develop a rash, fever, stiff neck, muscle aches, joint pain with inflammation, swollen nymph nodes, flu-like symptoms, or sudden photosensitivity. In the rare event that a tick bite is followed by a severe headache, difficulty breathing, paralysis, or chest pain, contact emergency services immediately. As scary as tick bites can sound, the majority of tick bites will cause no problems. Be aware of your surroundings, take precautions, and properly remove any ticks as soon as you find them. Statements on this website have not been evaluated by the Food and Drug Administration. Products and/or information are not intended to diagnose, cure, treat, or prevent any disease. Readers are advised to do their own research and make decisions in partnership with their healthcare provider. If you are pregnant, are nursing, have a medical condition, or are taking any medication, please consult your physician. Nothing you read here should be relied upon to determine dietary changes, a medical diagnosis, or courses of treatment. Mandy O'Brien is an unschooling mom of five. She's an avid reader and self-proclaimed research fanatic. An active advocate of human rights, Mandy works to provide community programs through volunteer work. She is a co-author of the book Homemade Cleaners, where simple living and green cleaning meet science. She shares a glimpse into her life at Living Peacefully with Children, where she writes about various natural parenting subjects and is working to help parents identify with and normalize attachment parenting through Attachment Parents Get Real. I also carry around the Homeopathic Ledum. Especially if hiking…. if you get a tick I’d just take a dose. It can’t hurt. (My best friend lives in a huge tick zone and has gotten Lyme twice.) I find the idea of ticks horrific. Almost worst thing I can imagine. It’s the taking up residence that bothers me so much.